Much like the axe the lumberjack has I used scissors and painstakingly cut him out. Painstakingly because hand cutting is so not my thing! I popped him on the background with dimensionals. Stampin' Up! is so on trend with this stamp set. 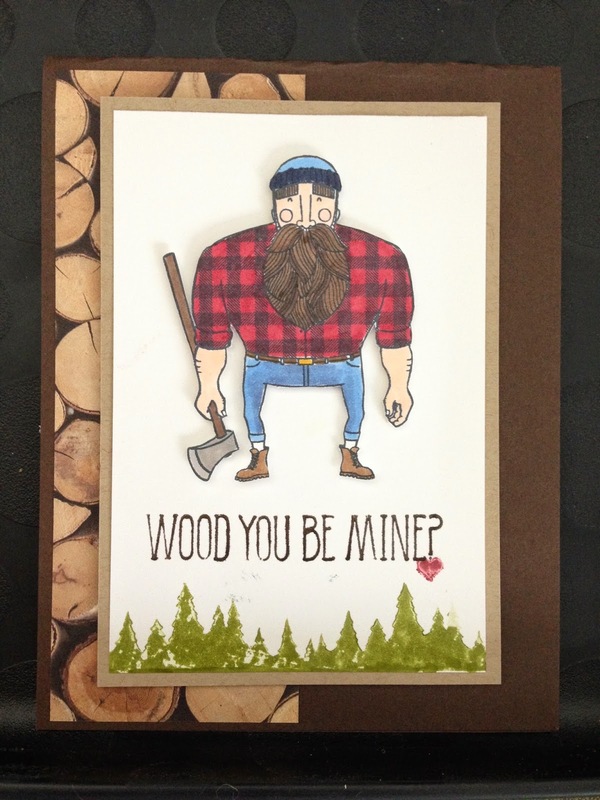 Lumbersexual is a trendy term for guys who dress in designer flannels and jeans, who look like they should be swinging an axe but are most likely sitting in a coffee shop with their Apple laptops sipping $5 lattes. Don't believe me? Go look it up! And please please please subscribe to my feed. I post frequently and you will want to make sure you do not miss a post. Soon I will be offering a prize for my subscribers.